Edited 2 time(s). Last edit at 14/09/2017 11:52 by Grockle. Having not been here for this bit of September for some 6 years, it is a bit grimmer than I was expecting. No blue skies and crisp mornings here. Edited 1 time(s). Last edit at 11/09/2017 16:14 by Grockle. For those who are unable to get to the ground for the Lances match, Ben the IT guy for the club is hoping to be able to do a live stream of the match. I assume it will be the static camera affair. Will try and bring some of the game to you but can't guarantee I'll be there for anything more than half of it and it depends on weather and transport etc. I'll use Farmer's reports as the frontpage if he does one and we'll see how it goes. Today does not bode well if the weather in Bicknoller is anything like that expected in Taunton centre n the next four days. Might be lucky tomorrow.Showers seem to be less frequent,with the heaviest rain starting late pm and clearing through Tuesday night. Edited 1 time(s). Last edit at 11/09/2017 16:40 by nelliec. Lancashire have named all-rounder Toby Lester in their 13-man squad, in place of Jos Buttler who will be with the England ODI squad this week ahead of the series with the Windies. The pitch is over towards the flats, it look like it may be a pitch used several times before. What is Groundsman day anyway - do folks get to meet Simon Lee and team and ask questions about the pitches or something? AG, I didn't like to ask! Lancashire, Somerset and the Championship. 2010 and 2011. 2017 - Time for a change. Lancashire come to Taunton with tenuous hopes of winning the County Championship, the only County with realistic hopes of catching Essex. In what little play there was in last week’s encounter between the two sides at Old Trafford Lancashire had the better of the contest. With a 36 point advantage and only three more games to play the draw was hugely to Essex’s advantage. If Lancashire are to have any chance of overhauling Essex, an unlikely Essex implosion apart, they almost certainly have to win at Taunton this week. 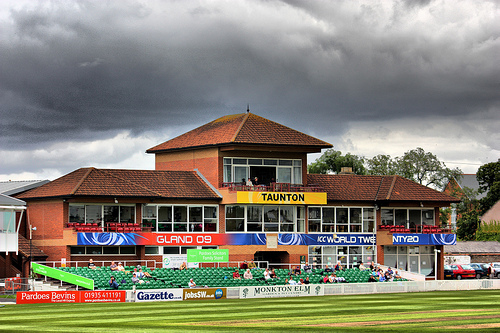 Somerset, with a stunning demolition of Warwickshire in Warwickshire’s own backyard, have brought their own destiny just about within range of their own hands. As a minimum Somerset need at least a win more than either Yorkshire or Middlesex over the next three games. Tantalisingly their last match is against Middlesex at a time of year when the sun will sink early behind the flats while Autumn descends from the Quantocks. There is still a chance that the setting sun and the Autumn leaves will have a belated golden hue. But Lancashire come first and Somerset and Lancashire have form where recent Championships are concerned. 2010. The year of Moses. We saw, almost touched, the Promised Land but we didn’t quite get there. Chester le Street felt a barren place that day in spite of the warmest welcome at the wintriest cricket ground from the Durham members. None of us who were there will ever forget their hospitality and selflessness in letting us virtually take over their very limited seating in their members facilities. One part of that hospitality was to let us swamp their Members’ Lounge to watch the badly rain affected Lancashire v Nottinghamshire match on the television once it was clear Somerset did not have the penetration to beat Durham on the September Chester le Street pitch at the end of their tremendous late season run. In 2010 Somerset had no depth at the sharp end of their bowling attack, their three main pace bowlers that season, Willoughby, Thomas and Trego missed only one Championship match between them and so bowled without respite the whole season through. 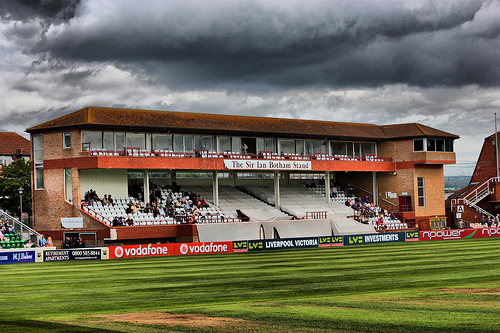 On the last day, to win the Championship, Nottinghamshire needed to score another 311 first innings runs and take 3 Lancashire first innings wickets in the 80 overs which were left after a delayed start to garner enough autumn bonus points, for it was autumn in Chester le Street, to pip Somerset for the title. They succeeded and won the Championship by dint of having won one more match than Somerset. Many thought Lancashire’s attempt to defend those three wickets desultory. I did not. Sidebottom and Adams bowled with irresistible intensity as only men inspired can. Their eyes mesmeric. I doubt anyone would have stood against that attack with half a hand already on the Championship for the 17 overs which remained that day. They were not to be denied. Those final crushing 4.4 overs might more appropriately have been played at midnight under scudding clouds surrounding a full moon with owls hooting for all they were worth given the impact they had on Lancashire and on Somerset’s Championship hopes. 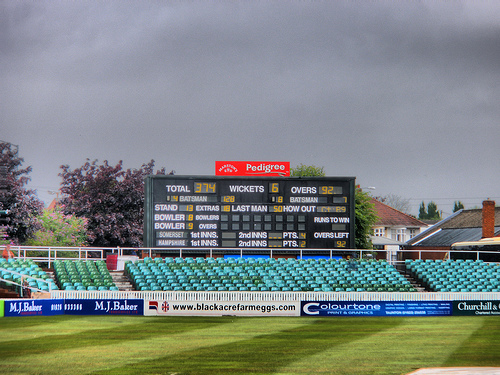 Until the last hour of the Nottinghamshire innings, when Simon Kerrigan took 5 wickets in the space of 65 runs, the Lancashire bowling was made to look insipid and uninspired in comparison as Nottinghamshire made perfectly timed and apparently inexorable progress towards 400 in time to leave those 17 overs although when it came to it they needed less than 5. The 153 run 5th wicket partnership of determined perfect placement batting in 28 overs between Voges and Patel the key to the match and to Sidebottom and Adams denying Somerset at the last. Nottinghamshire were inspired that day, Lancashire could not stand against them and Somerset still await their first Championship. 2011. The year of Joshua. At least for Lancashire for they reached the Promised Land. Lancashire arrived at Taunton needing to beat Somerset, if Warwickshire failed to beat Hampshire at the Rose Bowl, to win their first outright Championship since the other side of the Second World War. Warwickshire fell foul of a Rose Bowl pudding and could only draw. Somerset lost out in the first innings by 380 (Hildreth 186) to 480. Somerset started the final day 5 runs ahead with 5 wickets already gone and within no time were 7 down and only 30 ahead. Peter Trego then took a hand. He batted nearly four hours against the Lancashire spin attack and a forest of close fielders. He scored 120 from a very un-Trego like 217 balls. A different type of innings and an immense piece of concentration but on a par with his century in the 479 for 6 to beat Yorkshire two years before. Murali Kartik stuck with and beyond him for 65*. It was a tremendous battle after Somerset’s collapse the previous evening. The last five wickets battled nearly to tea. Lancashire needed 211 to win in just over a session. So many overs bowled by the spinners in the day the minimum allocation remaining so few even the 1980s West Indies team would have exceeded it. 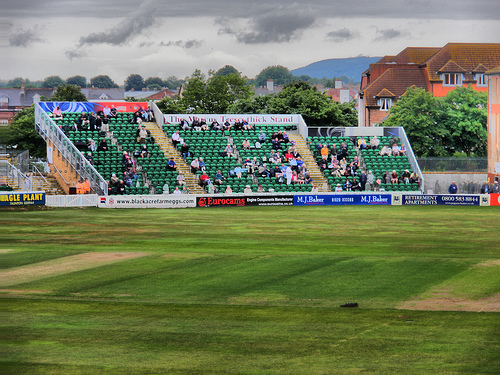 The over rate was as slow as Somerset could fashion it and the field set well back to prevent the boundaries. To my mind the tactic immediately handed the initiative to Lancashire. It failed to prevent 20 fours and 2 sixes. The remaining 120 runs were all run and Lancashire romped home by 8 wickets with time to spare. In the end Somerset could not quite hold Lancashire, memories of Lancashire’s inability to hold Nottinghamshire the previous year floating in the air as the travelling Lancashire members gathered in front of the Caddick Pavilion to watch their team celebrate their Championship. Of the Somerset team that played that day, just seven years ago, only Hildreth and perhaps Peter Trego will play today. For Lancashire none from 2011 will play. Hildreth’s, possibly sole, survival from that match an indicator perhaps of the transience of the professional cricketer’s career; although Glen Chapple Lancashire's inspirational Captain from 2011 will look on, as Coach, from the dressing room. 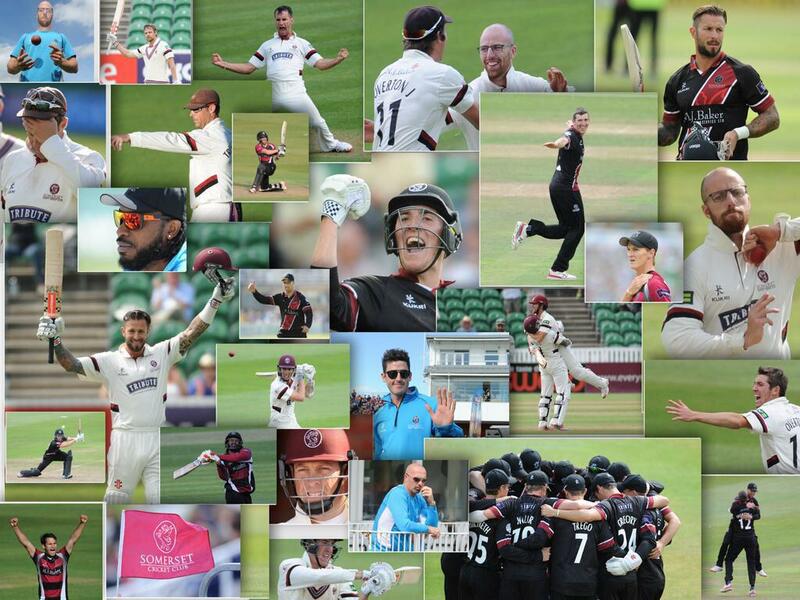 And so today we have a virtually clean sheet and Somerset need to write on it a different story from 2011 and from the first half of this season. There will be no 2010 this year. But Somerset can strive, in this match, for a performance to keep them ‘in the mix’, to use the modern parlance, to stay in the First Division and to reverse the result of 2011. And from there to continue the rebuilding of a new team good enough one day to go one better than that 2010 team. Lancashire are one of the two form teams of 2017. Somerset at the opposite end of the table. 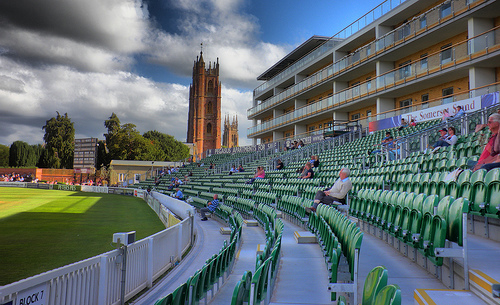 One of the joys of Somerset’s long cricket history has been our ability to surprise. Time for another surprise; and time for a change in the recent history of key Championship matches between these two sides. May 2017 be the Year of Lazarus. Edited 1 time(s). Last edit at 12/09/2017 07:28 by Farmer White. Re: Lancashire, Somerset and the Championship. 2010 and 2011. 2017 - Time for a change. Forecast set fair for today. A quick game is a good game this week. I'm after a 200 a side ish match not needing 3 days total playing time. Ideally we need to bat first as its sure to be a 2 spinner wicket. But whatever we do we have to win day 1. Either bat first and 220 then 70/4. Or Lancs all out 150 and we match it 4 or 5 down. The mood in the camp must be great after our comprehensive display at Brum. Just have to take that into ball 1 and win the first session and first day to set us up. As I understand it, the tracks over towards the flats tend to be the ones that turn the most? I assume they will pick Parkinson, the wrist spinner. He is, generally, more accurate than most young wrist spinners and so we may not have the usual advantage that would normally obtain in a low-scoring game of the oppo having picked a leg-spinner (on a turning track everybody turns it but the wrist-spinner tends to go for more runs than the finger-spinner). Is there any further news viz a possible live feed? Nothing on the official site but not sure whether that is because they've already given up on the idea or whether they've said nada because they're unsure if the technology will work and don't want to promise something that they cannot deliver? Groundsman's day is exactly that - groundsmen for club cricket grounds around the region are invited for the day, watch Simon and his team work, inspect the pitch, tour the facilities and get to ask questions. A nice idea I think. Track looks pretty green in the middle, I guess I can see why Lancs bowled. The live feed is up and running. I found it via the main site and then Match centre. A little early swing for Bailey. So far I've liked every aspect - that I have seen, of Eddie Byrom's game apart from his running between the wickets - and we nearly had an issue there. He looks well organised, relatively unflappable - decent technique - for example knows how to play with soft hands and has some shots. A little early life, certainly, but not sure that there's been enough in it, yet, to really justify Lancashire's decision? But now Jarvis, their best bowler will have a go..
Middlesex v Hampshire has been abandoned for the day due to the wet outfield. Surrey vs Yorkshire will be a draw. Uxbridge usually flat and dull so even if they get three full days, the odds must now favour a draw there too. One can see that Bartlett has a high risk technique. Looks to go right across and work everything toward the on-side by the looks of it. And I think his bat seems to come down from first slip. You need to have an awful lot of natural ability (eye) to be able to execute that type of technique well .. so let's hope he has it in buckets! And there you have it, I'm afraid. With the bat routinely coming down from first slip, one is no position to defend a straight ball. And there seems to be a fashion now for taking off stump guard. Bartlett appeared to be doing so and paid the price, missing a straight ball. I do not consider this to be any kind of minefield, on the evidence thus far presented, therefore I think it important that we get through to lunch without further loss.